With the growing population and economy, India had conceived pollution and raised it enough to threaten the human survival with the worst air quality to breathe in. Greatly responsible for our own deeds, the Metropolitan cities sheltering the urban life have influenced us to adapt to the ever-changing ecology. To aid our existence, many govt. organizations, as well as private parties, are extending their hands to harness the solution and save the people. 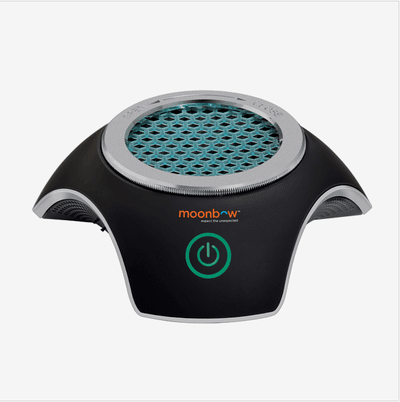 Keeping a distant similarity with the motive, many Indian start-ups such as the Moonbow has come up with a range of air purifier products. Recently, they have launched their newest endeavor "AP-B168NIA", a car air purifier. They say, it's power efficient and matches all the available car types including hatchbacks, sedans, SUVs, which hints that the product is adjustable with the area favoring equal performance. Specification wise, it features a CADR of 15 m3/hr & an aroma diffuser, a quality enhancement that the company pronounces to be the best in class available in India. The product comes with an equipped pre-filter that helps to eliminate unwanted large particles from the air. Also, it is clubbed with a True HEPA filter in conjunction with an activated Charcoal filter that removes microscopic particles from the air and also removes the stink from the target environment. Further, a refreshing energizer is present in the device. An auto odor sensor and air quality indicator make the device a standalone instrument to automatically test the surrounding and take measures. A Filter Replacement Indicator is also merged with the device that saves you from unnecessary troubles. The low power (4W) driven air purifier is also connected to an aroma diffuser and can cover up to an area of 20 sq. ft. The product is only available in black variant and is available on Amazon and Flipkart and features a price tag of Rs. 2750.